As a center for Jewish life, we at Shaaray Tefila recognize that people can experience the richness of Jewish life in a variety of ways that don’t necessarily require full Jewish identification. -Do you have close Jewish friends or relatives? -Are you raising a Jewish child? 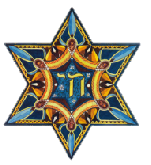 -Are you interested in exploring the spiritual dimensions of Judaism or Jewish culture? -Would you like to reacquaint yourself with your Jewish heritage? -Would you like to find a warm and supportive community to nourish your interfaith family? At Shaaray Tefila we welcome people of all faiths (or no faith) to all of our services. We encourage participation by non-Jewish family members at all of our life-cycle events. We encourage all children of interfaith families to study with us in our religious school. Our adult classes are open to people of all faiths and we feel enriched by the perspectives that non-Jewish students can provide to us. Non-Jewish spouses of our Jewish members may be buried with their spouses in our cemetery according to Jewish law. If you would like a taste of Jewish life at Shaaray Tefila, join us at one of our Jewish Journey Shabbat services. These Friday night services are especially appropriate for interfaith families. They are usually held in association with a communal Shabbat dinner and will introduce you to the beauty of Shabbat in a warm and approachable ambiance. No prior knowledge of Jewish ritual or Hebrew language is required. Check our calendar or Facebook page to see when the next Jewish Journey is scheduled. Also check out our “Meditation Shabbat’s” and our communal Passover Seder, which is conducted primarily in English with lots of explanation. We would love to meet you! Contact our office and we will arrange for you to meet our Rabbi or lay leadership, answer your questions, and welcome you into our Shaaray Tefila family.